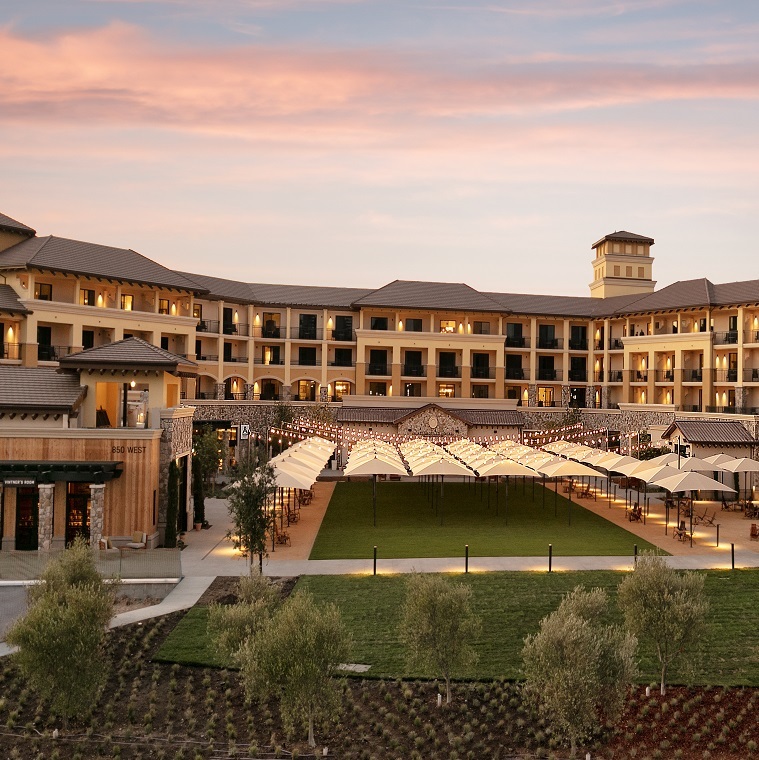 MEETINGSNET - Across the aptly named Bordeaux Way from Meritage Resort and Spa, a new Meritage Collection property officially opens in Napa, Calif., July 21. With a Tuscan-inspired décor, the new Vista Collina Resort is located amid 11 acres of rolling hills and vineyards. The heart of the resort is its Village, with nine tasting rooms featuring local wineries and breweries, an artisanal market, a pool with 10 cabanas, and a community lawn for picnics, live concerts, and events. The hotel boasts guestrooms with Frette linens, and upholstered lounge chairs, plus 39 suites complete with private living areas and fully-equipped kitchens. Additionally, suite guests have the unique opportunity to prepare a selection of gourmet recipes for an in-room culinary experience using farm-fresh ingredients and the Hestan Cue video-guided cooking system. Meetings and events at the Vista Collina include indoor and outdoor possibilities: the 16,000-square-foot Village Lawn can seat up to 1,000 dinner guests; a Rooftop Terrace accommodates up to 170; and the Vintner’s Room, featuring warm wood, exposed brick, and two large community tables, seats up to 120.